Deep-frying shrimp yields a juicy, crunchy dish that's ideal as an appetizer or snack. 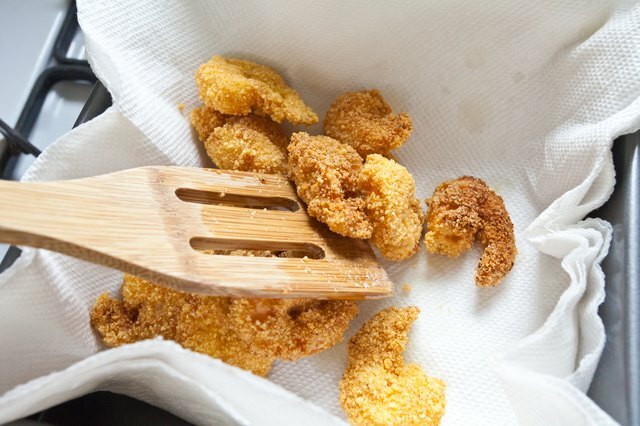 Though the process is a bit messy and time-consuming, you can make fried shrimp no matter your skill level in the kitchen. 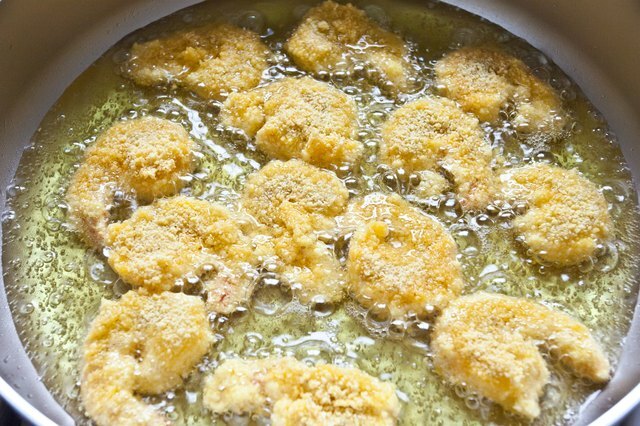 You can even make fried shrimp a couple hours in advance to store in the refrigerator until you're ready to serve them. Peel and devein raw shrimp, leaving the tails intact to make it easier to eat them as a finger food. Discard the shells and set the shrimp aside. 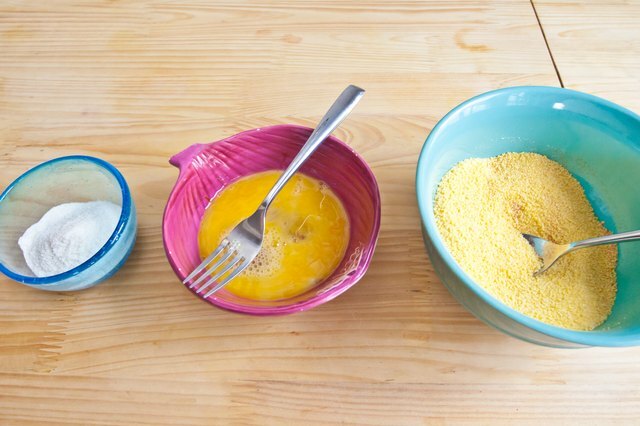 Fill one bowl with flour, one with beaten eggs and one with a crunchy coating like breadcrumbs, slivered nuts or shredded coconut. 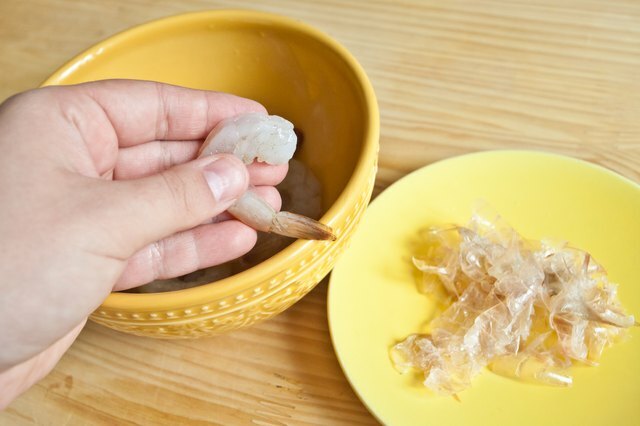 The bowls need to have enough of each ingredient to allow you to thoroughly coat the raw shrimp. 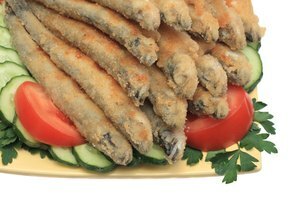 Coat a raw shrimp in the flour, and then dip it in egg before rolling it in your chosen crunchy coating. Set the shrimp aside and repeat this process with all of the remaining shrimp. 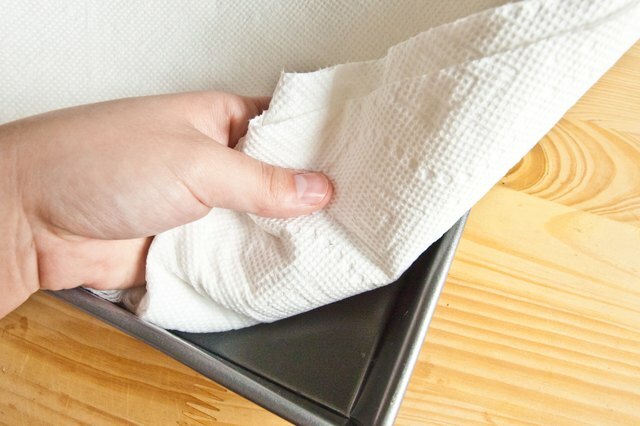 Line a pan with several layers of paper towels and set it aside. 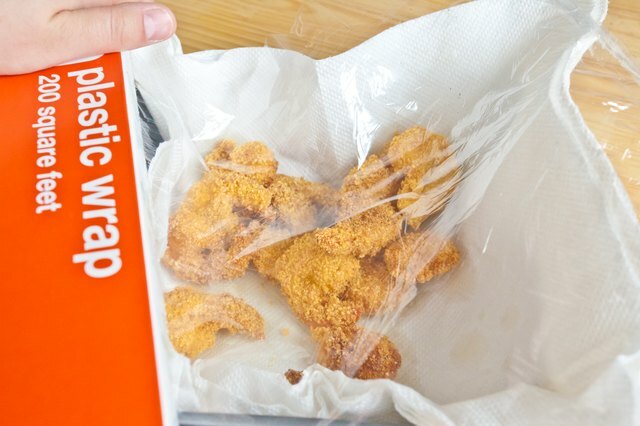 Place it near your stove so you can easily transfer fried shrimp to it. Fill a deep pot with at least 3 inches of peanut, soybean or extra-light olive oil and place it over medium heat. These oils have a mild flavor and a high smoke point, which is ideal for frying shrimp. 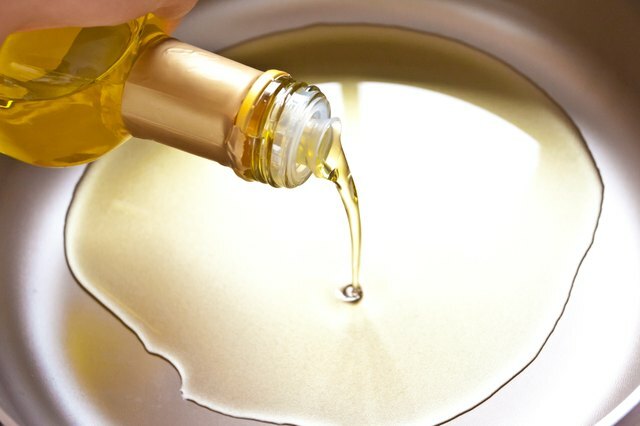 When the oil is simmering hot, carefully lower about 10 to 20 shrimp into it using a slotted spoon; if the oil does not bubble around the shrimp, wait a minute or two longer for it to heat up or turn up the burner a bit. Fry the shrimp for two to three minutes or until the crispy coating has turned a golden brown. 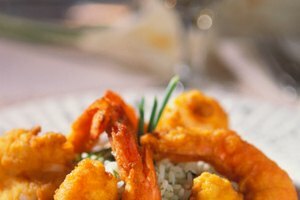 Remove the shrimp from the oil carefully with the slotted spoon and transfer them to the paper towels on the pan to drain. Sprinkle them with a pinch of salt if you would like a bit more flavor. Repeat the frying and draining process until you have cooked all of your shrimp. 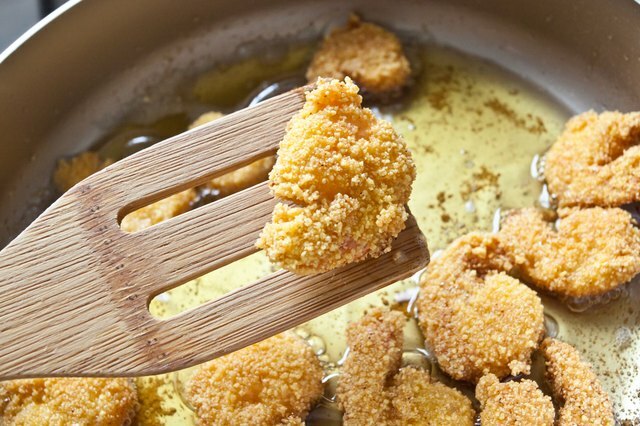 Serve or cover and refrigerate the fried shrimp immediately. 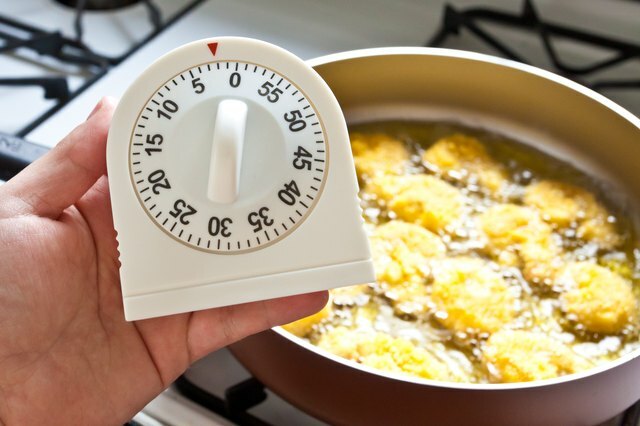 If the oil begins to smoke at any point, turn down the heat on your stove and wait for it to lower in temperature. 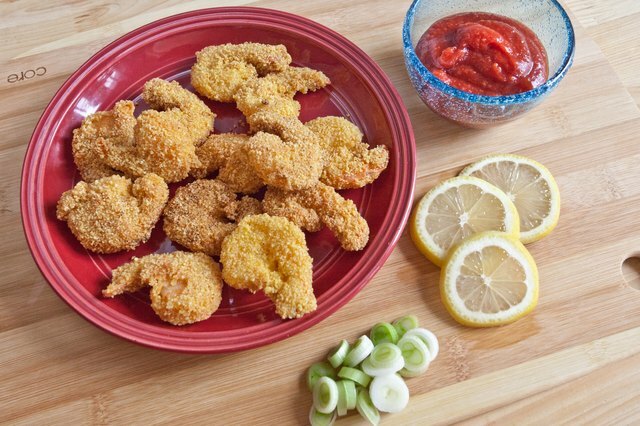 For added flavor, you can mix spices with the flour, egg or crunchy coating before coating the shrimp. 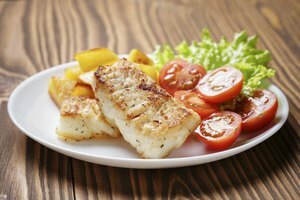 Do not reuse the flour, egg or chosen crunchy coating -- discard these when you have finished cooking the shrimp.